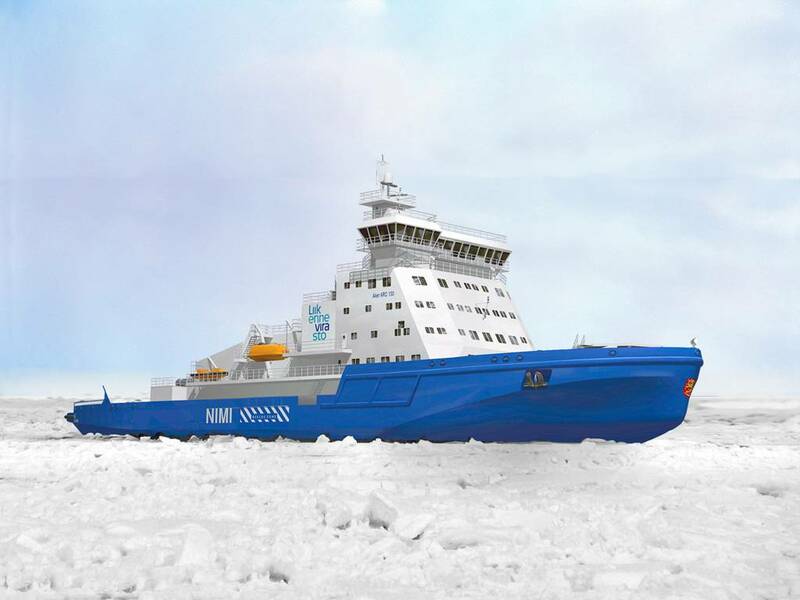 The new icebreaker built by Arctech Helsinki Shipyard for the Finnish Transport Agency and powered by Wärtsilä dual-fuel engines will be the most environmentally friendly icebreaker ever built. A new icebreaker being built by Arctech Helsinki Shipyard for the Finnish Transport Agency will be powered by Wärtsilä dual-fuel engines capable of operating on both liquefied natural gas (LNG) and low sulphur diesel fuel. When launched in late 2015, it will be the first LNG-powered icebreaker in the world. Wärtsilä's track record in dual-fuel engine technology was a crucial factor in the award of the contract. By enabling LNG to be used as the engine fuel, both exhaust emissions and fuel costs are notably reduced. The impressive power output per cylinder of the Wärtsilä engines was also cited as a factor in the contract award decision. The full scope of supply calls for one 8-cylinder Wärtsilä 20DF, two 9-cylinder Wärtsilä 34DF, and two 12-cylinder Wärtsilä 34DF engines. The contract was signed in March 2014, and delivery of the equipment to the yard will be made in spring 2015. The vessel will be able to move continuously through 1.6 meter thick ice, and be capable of breaking a 25 meter wide channel in 1.2 meter thick ice at a speed of 6 knots. It will also be able to reach an average assistance speed of 9 to 11 knots and in open water the service speed will be a minimum of 16 knots. While the main purpose of the vessel is icebreaking, it will independently be able to perform oil spill response operations and emergency towing under demanding conditions both in winter and summer. The vessel will, therefore, operate all year round to ensure safe seaborne transports in the Baltic Sea.